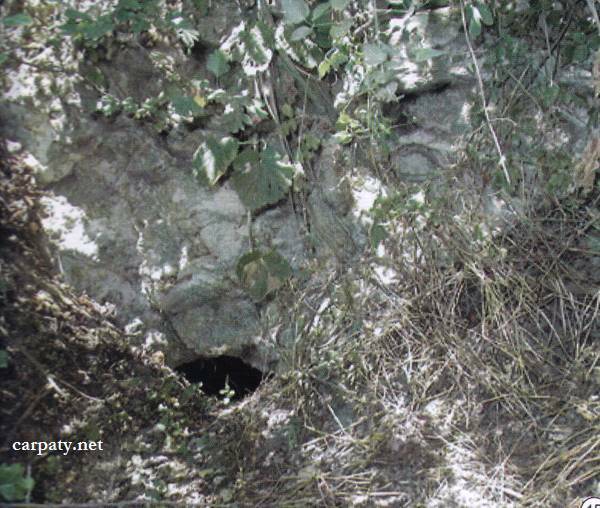 Regional Information Center "CARPATHIANS" » ANCIENT ADIT IN THE DOBROSILLYA (BENE) VILLAGE. 48° 09′ 51″ N lat; 22°46′ 25″ E long. 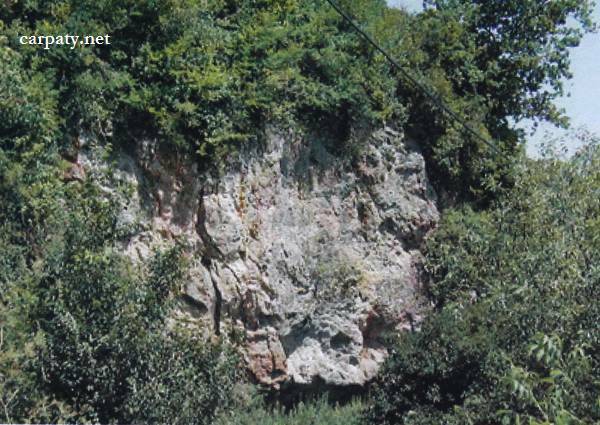 At the exit from Bene village close to the bridge over Borzhava River in the rocky cliff up to 10 m high and 30 m long there are exposed hydrothermally altered and crushed in fault zone Early Sarmatian rhyolites which have increased iron content (limonite, hydrogoetite). In 20 m from the cliff at the road one can see almost locked entrance to the ancient gallery (probably XVII—XVIII centuries) aimed perhaps to extract described rocks for iron processing. Ecological conditions are suitable; entrance to the gallery is locked with a heap.